These intervention ideas are thorough enough that they can be replicated exactly to create a successful therapeutic session, or they can be modified to incorporate any therapist’s unique artistic interpretation. 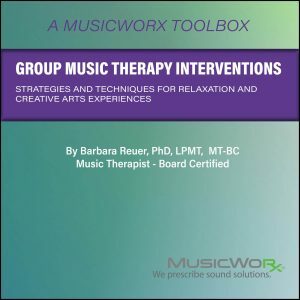 Expand on each intervention listed under the session plans in order to create up to one hour of equivalent topic therapeutic musical exercises, or use two or more interventions interchangeably to create a multi-dynamic session that can accommodate hours of exceptional music therapy! Session 12: You’ve Got a Voice—Use It! References to items on the Board Certification Domains are based on the Practice Analysis Study of 2014. 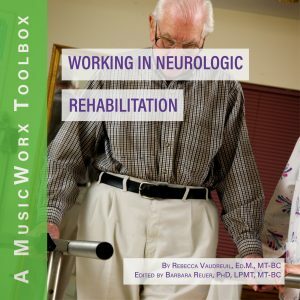 Those registered for the MusicWorx Toolbox course Music Therapy and Adolescent Populations will develop or improve their abilities to help others express themselves through active music-making, writing songs, and by analyzing lyrics. Participants will learn these skills for group settings and individual work. Describe three things that are necessary to helping a teen feel safe in a session. Create five ideas for appropriate rap / songwriting themes for teens. Design one music-appreciation session plan based on a self-chosen music icon. Select five songs for teenagers and create ten questions to help clients process the song. Noelle is a board-certified music therapist and received her baccalaureate degree from the University of North Dakota. Noelle serves as the lead therapist and director for program development for both MusicWorx Inc. and Resounding Joy Inc. Working with teenagers has always been a passion for Noelle. She has worked with a variety of teen populations in numerous settings including psychiatric hospitals, probation programs, after-school workshops, Planned Parenthood sessions, support groups, gang-violence groups, and teen mothers and their babies. I really enjoyed completing the assignments in this course. I definitely will be taking another course through MusicWorx in the future... great content, useful information, and session plans. The class was very great, and I learned a lot by a lot of research. I wasn't proficient in rap songs, and now I feel like a semi-pro on the history of rap and the uses for it! I'm excited to use these things I learned in my sessions!